I must admit, it seems almost every day I see sisters in Christ expressing the anxiety they are experiencing. I have seen a rise in it the last few years, not only in my own life, but in those around me. Sometimes I am left wondering if the advances in technology are a huge contributing factor for that rise. Technology is amazing, don’t get me wrong. I work full time from my computer and would not have a job I enjoy and love without technology. We can access anything at the push of a button: banking, investing, debt reduction, weight loss, and exercise habits. We can read our Bibles and join in on any thousands of Bible studies, and we can even take theology courses through a simple app. Billions of people can access social media platforms on an hourly basis. With the touch of our finger, we can be talking to someone a continent away. It’s really astonishing what has been accomplished the last 20 years. But it seems as technology gets faster and more convenient, it’s as if our human bodies and minds must move and think in the same mode. I am so guilty of mindlessly browsing app after app, website after website on my phone – reading, browsing, retaining information, commenting, posting, and sometimes I feel like my mind is about to explode. What do we do, sisters? How do we pull away from the things that are causing anxiety in our lives and sit still? By no means am I suggesting that only technology causes anxiety. In some cases, there absolutely are medical reasons that cause anxiety. I, myself, have gone through periods in my life where medication was needed. We can suffer from anxiety for several reasons, and I could type all day long with suggestions on what could be causing someone’s anxiety: family discord, home in shambles, stressful jobs, rebellious kids, and rough marriages. We all have things going on in our lives that could be contributing. But I believe the one piece of the puzzle we all have in common is technology, and why I started out with writing about that. Every day I try to pull away from what is distracting me and get into God’s Word. I fail at times. We all fail. I have had weeks I wish I could literally wipe away because they were so stressful and caused an extreme amount of anxiety, but after reflection, I found I didn’t spend time in God’s word that week like I should. But It’s okay! We get back up and dig in again. This is what I want to talk about today: the ways Scripture helps us fight the anxiety in our lives. 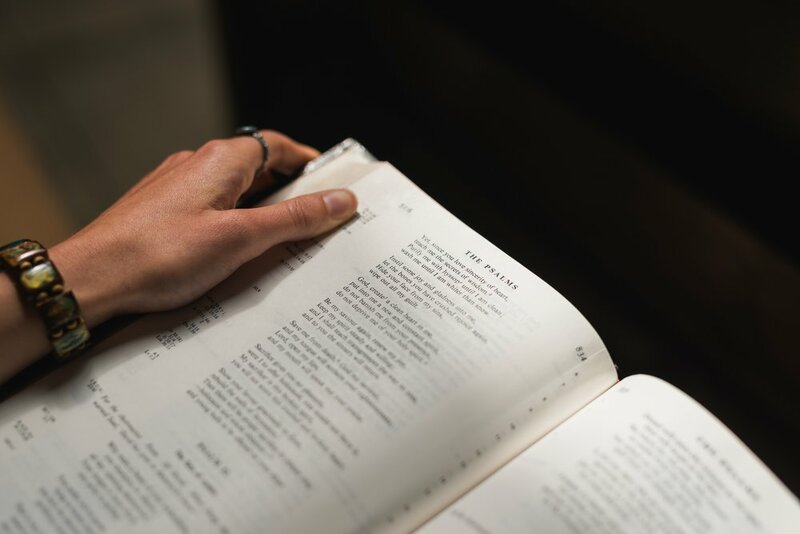 The precious Word of God can help us focus, regain strength, persevere, and quiet our souls as we dig into the text and learn about God and who He is. The Holy Spirit reveals to us who Christ is and how knowing the God of Scripture can help with our anxiousness. Merriam-Webster dictionary defines anxiety as this: apprehensive uneasiness or nervousness usually over an impending or anticipated ill: a state of being anxious. I think the word that most sticks out to me here is “anticipated”. Sisters, I spend too much time anticipating something bad to happen. I confess I do this; it’s not something I want to admit, but it’s truth. Let’s examine God’s word and see what we can do to help us start alleviating or lessening the anxiousness we so often feel. Praying is a wonderful gift we have. Being able to talk to the Lord at any time of day about anything is such a precious gift we too often take for granted. Pray for the Holy Spirit to comfort you. I feel peace just reciting this following verse out loud. What a wonderful promise from the Lord if we go to Him in prayer with thanksgiving, we will receive His peace. 2. Read about God’s Sovereignty. God plans and governs all things. His purposes come forth. There is no one like Him. God plans the future and accomplishes it. He declares, and He foreknows everything. 3. Read about God’s Omniscience. He knows the smallest details of our lives. Not just our lives, but everything around us. He counts the hairs on our head, and He knows our thoughts before we speak. God has total knowledge. From eternity past to eternity future, He knows all. 4. Read about God’s Omnipresence. God is present everywhere, all the time, in everything. He is present in all of space and time. He is present in the tiniest unit of matter, the atom, to the vast galaxies created. I can’t even wrap my mind around that, but this is God! He is even present in Hell. 5. Read about God’s grace, mercy, and faithfulness. God’s promises are yes and amen. They never fail. They always come to pass. His mercies are new every single morning. We can read story after story in the Old and New Testaments that exhibit His faithfulness to His people. I don’t have to pin-point Scripture verses for this section because we could literally read the Word from cover to cover to see God’s grace, mercy, and faithfulness - from Genesis to Revelation. Let’s stop opening our Bibles and being content with a verse or two. Study and dig deep into whole books of the Bible. Read about Abraham, Joseph, Esther, Job, Isaiah, and Paul. From Old Testament to New Testament, from the Old Covenant to the New Covenant. Read Romans, John, Galatians, Corinthians, Philippians, Ephesians, Exodus, Psalms...none of it will disappoint! 6. Read about Christ’s suffering, death, resurrection, and ascension. Read the books of Matthew, Mark, Luke, and John. Why do some of you believe that as Christians everything will be fine, that our lives are to be filled with health, wealth, or prosperity? Our Lord suffered greatly! What makes us think we will live a life without worries, or hardship, or grief? A lot of what I referenced above takes the focus off ourselves. Reading Scripture helps us fight anxiety. When we approach the word of God and try to get to know our heavenly Father, our faithful Savior, and our constant helper, the Holy Spirit, we can begin to feel a peace in our hearts that is beyond our understanding. The less we read our Bibles, the more the focus is on ourselves and our needs. And truthfully, I believe that is what causes anxiety. We are looking inward instead of outward to the only One that will not fail. Read your word, sisters. Let’s dig in!